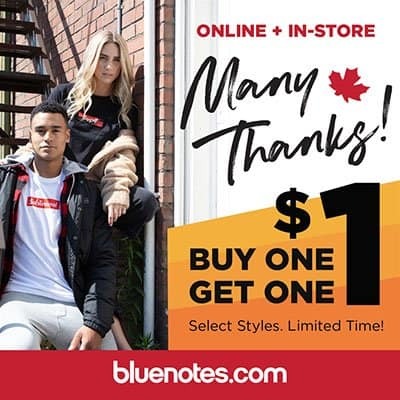 The Bluenotes buy one get one for $1 sale! This long weekend only – on all new fall arrivals! Some exclusions may apply. See in-store for details.